My husband bought his first Civic in 2016 at this dealer and had the best buying experience. At that time we worked with Charles who was very thorough, friendly, professional, and gave us a very good price. My brother ended up purchasing the same car from Charles a few months later. We bring the Civic to service at this dealership as well. They have a great waiting area with beverages and clean washrooms. Their service bay is clean and bright, and all the Service staff are very nice. We normally interacted with Edmond/Alex. We needed to buy a second car this year and we ended up returning to Roadsport and finding Charles to purchase our SUV. Again, the same excellent service. This time around, we were helped by Ashley and Jonathan since Charles was on vacation. We ended up waiting for Charles to return to make our purchase because we are used to the way he explains the calculations, but we were very happy with how we were treated by Ashley and Jonathan when we were getting a quote. We got to meet Alan Chen as well, as he took us on our test drive. He was knowledgeable and very honest when dealing with our questions and concerns. We would highly recommend anyone to speak to him and Ashley as well if looking for a vehicle. Finally, Rebecca handled our lease and again, she was knowledgeable and very easy to converse with. We can't give enough good praise to this dealership and those we have worked with. Definitely visit this dealership if you are looking to purchase a Honda! Bought the car last week from here . Mohammed Zilani is the best with vast knowledge about the products.He found out the best car for me and my wife within our budget . Highly recommend this place . I had the pleasure of visiting roadsport Honda to replace the airbags in my car for a manufacturer recal. I was mentally prepared for this to take longer than expected but I was surprised that it only took half of the expected time. They offered me a shuttle ride to drop me off and pick me up for free even though I was just going around the corner. While I was away, they sent me a text inviting me to reply if I need anything else from them while I wait. Warren was my service tech, he was professional and courteous as well as clearly being a good mechanic. He left my car as clean as it was when I handed him the keys and performed the job in less than an hour. The receptionist was also lovely and everyone greeted me and held doors for me as I entered and exited. I am very pleased. Whoever is in charge of this team is doing a great job fostering a pride in great service. Great team and helpful staff. 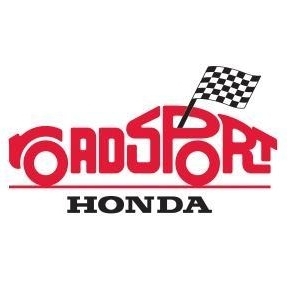 I have purchased two Honda Accords at Roadsport and have had all of my service appointments there since the year 2000 .... an indication of the positive experiences I am having with this dealership. Peter was very nice and helpful. He gives the best deals possible and makes deals fast and efficient. 10/10 would come again. Thank you for taking care of my car starting problem during christmas holiday. My car is acting up again so i'll book an appointment and try to come in ASAP.